A ski course at the Alpin Skischule Oberstdorf provides beginners and experts alike with the best pathway to making the most of their ski holiday. 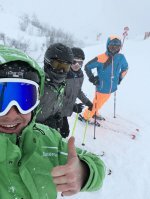 We offer courses tailored for every level of skier and have fantastic 3 and 5 day packages available that let you focus on having fun. Of course, we also have comprehensive ski rental facilities available for all our customers.